Jason Hartman starts off with a recap of his Phoenix Distressed Property Tour last weekend, then a quick rant about crooked banks, Wall Street scams and how to get a loan modification or short sale approved with the help of a Q.W.R. Qualified Written Request Letter, a new product at: http://jasonhartman.com/loan-modification-short-sale-q-w-r-letter/. After this, Jason welcomes Doug Ottersberg for a discussion on mobile home park investing. In 1994, Doug and Ana Ottersberg made a decision that changed their financial future forever… After investing a small amount of time and money to learn about real estate investing and then taking action with what they learned, this newly married couple discovered a tremendous “Cash Flow Creator,” and soon watched their personal net worth quickly grow from below zero to well into the millions. Since then they have become experts at helping others achieve financial independence using the very same virtually recession proof investment. Doug and Ana Ottersberg are dedicated making money work and creating the freedom to stop working for money, the confidence to pursue one’s passions, enjoying financial security and peace of mind. In addition to volunteering at their children’s school and other activities, this busy couple finds time to give back to the community as well. They each serve on various Board of Directors, help out with the Cub and Boy Scouts and other community activities. ANNOUNCER: Welcome to Creating Wealth with Jason Hartman! During this program Jason is going to tell you some really exciting things that you probably haven’t thought of before, and a new slant on investing: fresh new approaches to America’s best investment that will enable you to create more wealth and happiness than you ever thought possible. Jason is a genuine, self-made multi-millionaire who not only talks the talk, but walks the walk. He’s been a successful investor for 20 years and currently owns properties in 11 states and 17 cities. This program will help you follow in Jason’s footsteps on the road to financial freedom. You really can do it! And now, here’s your host, Jason Hartman, with the complete solution for real estate investors. JASON HARTMAN: Welcome to the Creating Wealth Show! This is your host Jason Hartman, and this is episode #213. Thank you so much for joining me today. So! Where do I start for this show? We have had a lot going on. Really, too much. Almost. But it’s been fun and exciting, and boy, we are busy, busy, busy. And it’s a good feeling, to be so busy. Couple updates on things, before we get to the topic of today’s show, and today’s guest. First of all, of course, the Phoenix Foreclosure Tour! We just ended the tour on Sunday afternoon, and wow. What a fantastic weekend! Just really, really incredibly enjoyable. It was so nice to meet so many great people. So many really bright people. I just love our clients, and the listeners to this show, and all of our followers, because they’re just really sharp people. Really successful people. And it was just great to have so many of you out. You flew in from many different parts of the country. We had people come from the east coast, and of course we had people come from California, New Mexico, Oregon, Washington, quite a few areas. So it was a great, diverse crowd. I think we had 33 attendees for that. The bus was pretty much full. We had a few seats in the back that weren’t taken, but they were filled with the cooler, and the drinks, and the supplies, and stuff like that, and then the various people that we had with our partners out there that were jumping on and off the bus to talk about different things, and so forth, and do their hosting work. But yeah, what was so great about this tour—and it was the first tour we did, and I know a lot of you who attended couldn’t believe that. But yeah, it was. We’ve of course done probably hundreds of live events and seminars and so forth, and of course, podcasts and such. But this was our first actually distressed property tour, where we got a bus and took people around. And you know, we’ve been thinking about it for years, but just never got around to it. Always busy with something else. And I have to say that one of the greatest things about this—the thing that I really, really enjoyed—was just sitting down and sharing so many casual moments with our clients and listeners to this show and so forth. And having dinner with people, having lunch with people, having breakfast with people. And that was just incredibly enjoyable for me, learning about all of you who attended. And just having sort of that casual time together. When I do the Meet the Masters event, or the Creating Wealth seminar, or any of the other seminars, that’s much more formal, I guess. We do have some meals together at those things, but it always seems very rushed, and like it’s kind of a big hurry to do the next thing. So, it was just great to experience the tour, and really just thank you so much for all of you who came out and made it such a great event. I definitely want to do that again. So, look for future tour announcements. Maybe back to Phoenix. Maybe to other areas. We have been thinking about doing a tour in Dallas, so stay tuned for that. One thing about the tour. We looked at several properties, and gosh—this may sound salesey, and you may not believe me when I say this to you listening, but—it is a real, real challenge to get good inventory of properties right now. And you know, what’s happening is, of course, foreclosures are working their way through the system, and as they do that, and as they get absorbed more and more quickly, what you have is you have a lot of properties that are outside of the investor criteria—either aren’t at a good price range for investment, or don’t have good rent-to-value ratios, or have other defects—those properties, of course, weigh down the statistics and make them look bad. But if you want this small, narrow, micro-market of really high quality investment grade properties, the selection is extremely limited. And we certainly faced that problem in Phoenix over the weekend. And we did see quite a few properties. It was definitely a full day. So it wasn’t like we had extra time. The bus picked us all up at the Ritz Carlton, and then we left for the tour, and I don’t think we got back until about 6 o’clock, I think it was when we returned. So, that was a real challenged inventory, and we’re having that challenge in many of our markets. As you know, we have deals with different local market specialists, different providers that source inventory for us in 44 cities nationwide. But we really only recommend usually at any given time about eight, ten, maybe twelve of them that are really, really the most sensible and the best markets. And we’re having real inventory challenges in virtually all of our markets that we are recommending at this time. One thing we did have, though, that’s kind of an anomaly, is our local market specialist held properties back for the tour. Because of course we can’t have a foreclosure tour and rent a bus and invite people to come out, have them fly out, have them spend money to pay for the tour, and not have properties to show them. So, they did hold some properties off the market, and oddly enough, we still have one property left from that tour that nobody purchased. Now, you might be asking, well, why didn’t they purchase it? And frankly I don’t know the answer to why they didn’t purchase it. And maybe some of you listening who were on the tour can give us some feedback. But I think, my theory as to why, is that this particular property—it was a very good deal. It’s pre-rented. And people that go on a tour—now, granted, you gotta understand. Most of our clients never see the properties they buy. Or they might see them later. But they don’t see them when they buy them, most of the time. And of course, we always want to say that we recommend that you see them, just as a matter of disclosure, and a matter of due diligence. However, the fact is that most of our clients, probably 95% of them, buy properties sight unseen. And as you know, because I’ve said it before on the show, I have many properties in my portfolio that I’ve never seen, and I’ve owned them for years. So, it just doesn’t really much matter to me, as long as the deal makes sense and the property produces income. And you know what I say. When you invest in a stock, I’m sure you probably don’t visit the company, the corporate headquarters. You probably don’t visit all of their branch offices, you probably don’t see their facility. Who cares? As long as the deal works, and it’s producing income, and producing a nice return for you. But this particular property that is still for sale as of today, Tuesday, that was on the tour, was tenant occupied, and we couldn’t get in to show the property, because there was a tenant in the property. And it’s a pretty good deal, if you ask me. In fact—and I say this generally, but also specifically to this property—if any of you out there are in need of cash to fund your deals, I would be happy to partner with you. I’m way past the point where I can obtain financing for these properties, with over 20 mortgages—the limit is 10, and in some cases it’s only four—but I’m way past the point of financing for residential properties. I’ve got two commercial properties in my portfolio, so that’s kind of a different animal. But I love these one to four unit residential income properties, because they just have such a great track record, and such great metrics, and such wide appeal. So, if you’re looking for a partner, I have lots of cash that is burning a hole in my pocket. I would love to invest, and just talk to our investment counselors, and I would be very interested in partnering on pretty much any property offered by our network. However, this one particular property, of course I’d be interested in doing it on this one. I think the kind of person that flies out, maybe from thousands of miles away, to attend a foreclosure tour, and in this one particular case, can’t get in to see the property, is the type of person that really wanted to see inside the property. We did drive by it on the bus, and stopped in front, but we did not go in, because it’s tenant occupied. So if you’re interested in that, we do have the one property, that lonely property that was on the tour, and as of Monday afternoon, about 24 hours after the tour, it was still for sale. And I believe it is still for sale today. So, talk to our investment counselor. Contact us about that; go to www.jasonhartman.com, and fill out an inquiry, and we can help you with that one. Also, one of the things that I mentioned on the tour, is we’re coming out with two new really interesting products that you will want to know about. One of them is entitled—and I thought of this kind of inspired by the James Bond movie—The World Is Not Enough…For Gold Bugs. And I kind of just thought that was a cutesy title. But it’s a really interesting report on how gold, and silver, even, to a lesser degree of course, but gold especially, may be in a bubble. And this is a really big illusion to people. Because, I’m not saying, when I say that gold may well be in a bubble, in fact a very severe bubble, and this many, many multi-page report illustrated with graphs and lots of evidence that we’re coming out with very shortly here—hopefully it’ll be out later this week, or next week—you really want to get a copy of this. Because, even though I say that it may be in a bubble, the illusion is this. The price of gold may go up. But wait a second. The question you always have to ask yourself is, did the price of gold go up, or did the value of the dollar decline? That’s the real question. And of course, the gold dealers will never tell you to think of that question, or think of it in that way. But that is a very accurate way to think of it. So, a bubble does not mean the price, in nominal dollars, won’t go up. It means that the real value that you’re holding in your portfolio, may be at risk. I’ve talked many times about the metals, and how I’m not a big fan of metals. I do own them, and I do think they’re better than dollars. I think they’re better than pieces of paper with pictures of dead presidents. Every fiat currency in the history of the world has ultimately reached its intrinsic value, which is paper and ink. So, this is going to be a really interesting product, this gold report. You’ve really gotta get a hold of it. The subtitle is, A Province of Fools. And we’ll talk more about that on the next show. But the other thing is, if you’ve ever tried to get a loan modification—and I know that many of you have, because I’ve heard from you. Everyone I believe today is entitled to their bailout, and why the heck not? The scumbag criminals on Wall Street, and the banksters, the fraudsters that run our banking system—they’re getting bailouts left and right. You deserve a bailout too. So if you’ve tried to get a bailout, either through a loan modification or a short sale, or some sort of relief on a property that you own—and this is one of the great things about owning property, and it’s one of the great things about being in debt. Because the people who take on the debt—now of course, you’ve heard me talk about it before, and there’s a lot more to it than that. It’s gotta be prudent, fixed rate investment grade debt attached to packaged commodities, or sensible income properties. Not just reckless debt. I don’t mean that when I say debt. Those are the people that really have the power. They have the power to make the system work for them. And they have the power to get a bailout. And they have the power to get, really, what amounts to a refund of some of the bailout money from those last big giant mega nearly trillion dollar bailouts that you, the taxpayer, paid for. You gave that money, through your representatives, of course, to AIG. With their crooked insurance schemes. You gave it to Bank of America. You gave it to Wells Fargo, and all of these other companies. And some of them have told you that they’ve paid it back, but I don’t think that’s really true, and I’ve read and heard some stuff about this, and I don’t do this for a living, so, when I say this. But I certainly believe it. That even if it looks like the institution has paid the money back to the government, they really haven’t. Because what they’ve done—and I know that I read something about Goldman Sachs doing this. And also Merrill Lynch, I believe. What they did, is they turned around and they gave the money back to the government, but they, in terms of their subsidiary entities, or their business partners, or their vendors, if you will—all of them retained bailout money, and a lot of these are just basically shell companies, shell entities. The way Enron was using these special purpose vehicles—do you remember hearing and reading about that? With the big Enron fiasco? So, what you’re really getting, when you’re getting these bailouts—my thinking has changed on this, you can probably tell from my tone of voice and my passion about this—is you’re just getting a refund of your bailout money. Of your tarp money. The money that was given to these organizations under the troubled asset relief program. That’s your money. Those are your tax dollars. So, I say, if you’re eligible to, and if you can, heck. Ask your lender for some relief. Ask your lender to give some of that money back to you. And one of the tools that is a very, very powerful tool that you can use to do this, is known as the QWR. The qualified written request: the QWR. And I have a paralegal who does some work for me, and at great expense, and many, many hours, he came up with a QWR that is about 18 or 19 pages long. And we’re going to be offering this as a product that you can download as a word file, or a PDF file, and it won’t be a secure PDF, so you can just copy the text right off of it. And you can send it to your lender, or lenders, and ask them a whole bunch of questions that they’re required by law to answer. And I think you’re gonna find out some pretty interesting stuff, and it may potentially help you get that loan modification, if you’re been trying to get one. So, look for that. Those are two new things we’re coming out with. Both will be of great interest to you. The last thing is, of course, today’s guest! Today’s guest is a gentleman that is going to talk about mobile home parks. And you know, we’ve talked about this on past shows, but we haven’t done it in quite a long while. Why hasn’t Jason been talking about this very much lately? He seemed so excited about it many months ago. I’ll tell you why. Isn’t that weird, when you talk about yourself in the third person? It’s kind of corny. But anyway. Mobile home parks are a really interesting asset class to me. And when I had a little bit more time before things got really, really busy at the beginning of the year for us, I was working incredibly diligently to try to acquire some mobile home parks and some self-storage facilities. Those asset classes are of interest to me. Of course I like housing; you know that. I love housing. It’s my very favorite thing. And I think that single family homes, duplexes, fourplexes, and certainly multi-unit apartment buildings, are of great interest. And they have great demographics coming at them right now, as Gen Y moves right into their prime renting years. That’s very good for landlords. But, I actually had one of our clients working in our office on a daily basis, trying to source these deals. And we made offer after offer after offer. We were writing letters of intent and sending them out over and over and over again. And look. It’s easy to buy a property if you don’t want a good deal. It’s easy to buy a property at the price the seller wants you to pay. It’s easy to buy a property—or, I should say, it’s easy for us as a company to put properties into our inventory, that aren’t very good deals. But the reason we have a bit of an inventory shortage is because we’re picky. We’ve got people approaching us all the time that want us to sell all sorts of junk, really old crummy properties in dangerous neighborhoods. Properties that, they sell for—we’ve talked about it before. But this is a really common one, in my business. My competitors are all doing this kind of junk that I’m about to tell you about. They’re offering these $25,000, $30,000 single family homes that frankly they’re buying for anywhere from a dollar to $3000 to maybe $5000 and selling them to you. And these are just old, junky properties. And what’s interesting is, I’ve followed those competitors over the years, and now when I look up their names on the Internet, I see all sorts of complaints, and litigation, and all sorts of problems that I hear about and read about on the Internet too. So, this stuff is not the stuff we sell. We’re picky. And when I want to buy a mobile home park, I was being a relatively picky buyer! And frankly, maybe I gotta get back on it. I’ve just been too busy and too distracted with my main business focus. But, I found them very hard to acquire. In fact, I found that the only people that say they’re easy to acquire, are the people promoting some sort of package that you should buy that teaches you how to acquire them. So, I don’t know. Maybe it’s just times have changed. See, one of the things, maybe I’m being a little too harsh there, or a little too critical, frankly. Or just a little too discouraged. I’m not sure. But one of the things that happens, is that some person will go out there and have success at something, and then, of course, they’ll create a product to tell you how they did it. And you know, there’s nothing wrong with that. That’s great. But the problem is that all of the stuff that they did to get to their level of success, might have been done several years ago. In the real estate market, frankly, it might have been done just last year or the year before. And things have changed pretty radically in real estate in the last couple of years, haven’t they? So, with that in mind, I don’t know. I’m gonna get back on the horse here and start writing letters of intent like crazy on mobile home parks and self storage units too. I just don’t have the time at the moment. But that’s why I really haven’t been talking about it that much lately. So, with all of that said, I hope you still want to listen to the next segment [LAUGHTER]. With all of that said, I just wanted to be very frank, and tell you where I was coming from. Because that’s—just thinking out loud off the cuff, that’s what I have to say about it. So, here is our interview, where we’re gonna talk about mobile home park investing. And this interview was recorded several months ago. Good guy, good investor, that’s talking about it. I think his work is excellent. He’s done a great job acquiring these properties and managing them. Maybe I’ve just gotta be a little bit more lucky. And there’s an old saying, I’d rather be lucky than good, and I think there’s a lot of truth to that, certainly. And maybe that’s all I need, to acquire my first mobile home park. The one that I got the furthest on was that one in Oklahoma, and I talked about that on a prior show, and flew out there with my partner who was gonna do the deal with me. That was Doug; he lives in Oregon, I live in California, and we both met out in Tulsa, and looked at this one park. But just didn’t pass our due diligence, so we let it go. We had money down on it, deposit in the broker’s trust account and everything, but the deal didn’t quite pass muster. So, I think, all of this said, the main thing for most investors is to invest in something you can actually do. Because if you don’t do something, then nothing happens. You don’t get the return. So, for more advanced investors who have already got a large portfolio of properties, that’s when you start looking at this other stuff. Anyway, I don’t know. I’m rambling here. So, let’s go to the interview, and we’ll be back with Doug talking about mobile home parks, here, in just less than a minute. JASON HARTMAN: My pleasure to have Doug Ottersberg on the show! He is an expert on many things, but not the least of which is how he really got his start, I believe, in the road to wealth and success in passive income, and that is through mobile home park investing! Doug, it’s great to be talking with you today! DOUG OTTERSBERG: Hey! Thank you very much, Jason. I’m happy to be here. JASON HARTMAN: So, tell us a little bit about your background, and how you got started, really quickly if you would. DOUG OTTERSBERG: Sure! My background is, after graduating from college with a technical background, I got a job in Los Angeles, California building satellite receivers for a company called Hughes Aircraft Company. JASON HARTMAN: Oh! Certainly familiar with them. DOUG OTTERSBERG: Eventually left there and started my own company. I was a computer technician by day, fixing PCs for people in offices around downtown Los Angeles, and we DJed at night. So, lot of fun. Eventually got to a point where when one my mentors came in and said, wow, congratulations! You guys have gone past the five year mark where most small businesses fail. Good job. And so, now it’s time for you to start thinking about creating something else. You know, getting something other than you, working for you. And you know, my question to him was like, well what do you mean? And he said, look. What would happen if, for any reason, you couldn’t show up and stick that key in the door? What would happen to your income? Well, obviously I wouldn’t have any. He’s like bingo. And so, let me share with you some of the things that my family has done over the years. So we got to talking about how he had taken some of his business income and started to invest it outside of his business in cash producing assets, and that’s when I found out about real estate investing. And to make a really long story short, I started reading books, and I think one of the first books I ever read, Jason, was Wealth Without Risk, by a guy named Charles J. Givens, and another guy, Robert Allen. DOUG OTTERSBERG: And, those two books got me started, and going from seminar to seminar, trying out different methodologies—you know, different strategies of investing in real estate. I literally stumbled upon a guy back in—gosh, in the early 90s, that was talking about buying discounted paper. And his name—he’s still around. He doesn’t teach anymore, but his name’s Jimmy Napier. JASON HARTMAN: Mhmm. I’ve heard of him, definitely. So Doug, it says really that you retired at 34? Now, did you sort of retire and go back to work again? Or, how did that happen? And with your real estate—it’s kind of a two part question, actually. How did you start? Did you start in single family homes and work your way up to mobile home parks? Or, give us the chronology of that. DOUG OTTERSBERG: Well the chronology was, after I went through those different seminars, you know, different instructors teach different ways of investing. I would go to a seminar, I’d take that information, I would go out, and I would do my best to implement it. And I was really struggling in the Los Angeles County and Orange County areas to get those working. So, I thought well, maybe there’s something else that works for me. And the thing that really hit home, and I guess resonated with me, was the mobile homes, once I found out about them, because they represented affordable housing, and so the actual first deal that I ever did, was I bought and sold a mobile home. It was like two hours north of Los Angeles, and I went back and talked to some other people in the business, and started finding out more about the mobile home parks, and once I did, I started talking to different people, and went on the hunt for a park, and as luck would have it, or as providence would have it, we found a community out in the Southwest, in Santa Fe, New Mexico, and the day that we actually closed on that community, Jason, was the day that we became financially independent. And let’s just make sure that, you know, retired and financially independent means, I don’t have to go work for money anymore. We have enough assets that produce enough income that will support our lifestyle. JASON HARTMAN: Sure. And so, your first deal, then, was really what’s known as a Lonnie deal, right? Where you bought a single mobile home, and then you bought a park, next, I guess. DOUG OTTERSBERG: Yeah, and in fact, Lonnie and I used to sit next to each other at these Jimmy Napier seminars. So we would trade notes, and I would call him back and forth. In fact, if you have that book, Lonnie’s little book about buying and selling mobile homes, if you look on the back, one of the testimonials is DO in SF. DO in Santa Fe, New Mexico. That would be me. JASON HARTMAN: Okay, okay. That’s fantastic. So, what was your next step? So you bought this first park in New Mexico. How many units was that one, and how did you acquire it? DOUG OTTERSBERG: Well we started out—it was 42 units, and we acquired it by going to an investor group meeting. It’s incredibly important for people to align themselves with meetings and stay in the educational process, because that’s where you meet people. And, I actually just stood up in front of a group of investors at a seminar, and was given an opportunity to tell everybody who I am and what I’m looking for. And I said hi, my name’s Doug, I’m from Los Angeles, I want to buy a mobile home park, I’ll go anywhere that there is a deal. And the reason I said that was like well, I don’t know, a month or two before I was at a seminar, and I was talking to the group leader, and I said, you know, this sounds really good, but this mobile home park stuff—I don’t think it’ll work where I live! And that was Jimmy Napier. And he looked at me and said Doug, you’re not a tree. You can move. You can go somewhere where it will work, or remember, the postman’ll bring you a check wherever you want to live, so go invest wherever it does work, and let ’em send you the money. So we stood up, and said that, hey I want to buy a deal—a park, and I’ll go wherever the deal is. Happened to be a gentleman in the audience from Albuquerque, who was also a broker; he went home, and created a seller’s list. He already knew he had a buyer. He called me, I flew over to Albuquerque, he picked me up, and he drove me around the state. We looked at a bunch of different mobile home parks, and had found the one that we bought, through those efforts. And, ended up selling my business. Again, once you set your mind on a course of action, it’s pretty cool, Jason, how things just start to line up for you. JASON HARTMAN: They sure do. You just sort of source it, because everything in the world sort of lines up around the person with a purpose and a mission, no question about it. DOUG OTTERSBERG: That’s exactly what happened. We’re living proof of it. JASON HARTMAN: Oh, we definitely are. We become what we think about, as Earl Nightingale and James Allen and all the rest throughout time have said. Hey, so Doug, on that first park that you purchased, how did you structure that deal? Did you do a master lease, did you do conventional financing, seller [unintelligible]? JASON HARTMAN: So as far as parks go, that was a fairly small deal, really. DOUG OTTERSBERG: Yeah. And actually, that turns out to be, as far as I’m concerned, an ideal size. Like 40, 50 units at a time. Totally ideal. Especially when you’re just getting started. The—it was like 640,000 bucks, and I believe we structured it—I made him an offer of $590,000 and $30,000 down, and what was so cool, was he didn’t even blink an eye. He just looked at me and he said, I’ll take 50 down. We shook hands, and that was pretty much the extent of the negotiation. I signed the purchase agreement, came back to Los Angeles, and remember having to talk with my technician at my office, my shop. He’s like, so how’d the trip go? And I was like well, I bought a mobile home park. Now I just gotta figure out how to buy it. How to come up with the money. I didn’t have the money at the time. JASON HARTMAN: Right, right. And so, you came up with the $50,000, and what was the term of the seller carry back like? Was it a very long note, or a short note, or what was the interest rate? DOUG OTTERSBERG: At the time I think like 20 year amortization. And the terms were—we wrapped, so if you’re familiar with wrapping underlying financing, and once we did that, then the terms—like, the rate, and the payment on my note to the seller, that would adjust. Because I believe he had an adjustable underline. Wasn’t anything out of the ordinary, as far as I remember. It was like, 16 years ago. But if he ever had an adjustment, ours would adjust at the same thing, and I think we paid him an extra point on top of the interest rate. JASON HARTMAN: And so, was that park a good, well-run park at the time you acquired it, Doug? Or did you really have to do a turnaround, and how did you do the turnaround? DOUG OTTERSBERG: Yeah, and in fact that’s what I tell other folks to look for. Again, it depends on what your objectives are. If you’re a young wealth builder like my wife and I were, that’s definitely the kind of thing you want to look for. And you’ve all heard the term right things wrong. Well, in this case it had just been neglected. The tenant profile, the people living there, they didn’t pay much attention to who they let in, and it was run down, and it needed some fixing up. So yeah, it was a turnaround project, and we spent the better part of the first four years, I would say. My wife and I moved there; we actually moved on site, we lived there, which was awesome. We had really low overhead. And learned the business, and started, little by little, just rehabbing, buying and selling the mobile homes, and bringing in new ones, or used ones, fixing them up. That completely started a completely separate business that we continue to do today—buying and selling and financing homes. JASON HARTMAN: Individual homes, and doing Lonnie deals on that. JASON HARTMAN: Then you have a bunch of park-owned homes in your parks now, I guess, right? DOUG OTTERSBERG: No. One of the things that we decided early on was that to own the home also lets you own the liability. DOUG OTTERSBERG: So, we figured out early on that most of the laws were written to protect lenders. Lenders have control, but no liability. So we decided to follow their example, and so, every time we brought a home into our community, we would sell it. JASON HARTMAN: And you’d sell it on the typical lease option arrangement that’s very popular in the business? Or how? DOUG OTTERSBERG: Lease option, or actually, we actually do retail sales installment contracts. So we don’t do lease options; we actually put their name on the title, they’re the registered owner, we’re the lien holder. We want to make sure that it looks just like any other type of financing arrangement that—so they understand, yeah, we’re just the lender here. Somebody comes home high, decides to go dive off of their roof into the concrete below, we’re not the owners. We’re just the lenders; what do you want from us? JASON HARTMAN: Now, what are you finding, Doug, as far as selling your own park-owned homes? You buy them, you put them in your park, then you resell them on the installment sales agreement. What are you finding in terms of the default rate? And I know that’s where a lot of park owners, frankly, like it. Would sound like, if you’re a lender, the first reaction is, oh my gosh, I don’t want people to default on the money they owe me. But when you own the mobile home park and you lend within your park on that house, a default actually can be a profitable experience, is that correct? DOUG OTTERSBERG: It can be. And of course, we don’t put people into homes with the hope and prayer that we’re gonna get it back. We’re in business to generate wealth; not only for ourselves, but for our customers and our students. And we do that by providing affordable homes that people can afford, and that give them an opportunity to pay it off. We work with private lenders, and we want to generate wealth for them as well. So, by keeping that in mind, Jason, we sell homes that people can afford, we put them in there, and do we get some back? Yeah. Not as many as you would think. Most of the time, the homes that we get back are just the same as anybody else out there. People’s situations change. And it’s not so much that, you know, they can’t pay for it. It’s like well, they gotta move, or they gotta go somewhere else, or they need a bigger home, or—so, it really puts you in the driver’s seat. Again, you control that home through the financing, and your job as a community owner is to keep the home on the space, and keep a body in the home. And we’re not too particular about the body that’s in the home, as long as they have a job, and the ability and the willingness to make that monthly payment. And again, somebody described it kind of along the terms that you did, that it’s kind of like a yo-yo—you put it out there, and once in a while it comes right back. And at that point, well, you just have to be good at getting it ready for resale, and putting another person in there. And when you run your business right, when you treat people the way you would want to be treated, you get a great reputation, and there’s a lot more people that need affordable housing than pretty much any other kind of housing. And you get that reputation, and pretty much, Jason, for the last, gosh, 12, 13 years, we’ve pretty much done only word of mouth. We don’t do any advertising. JASON HARTMAN: And so, what are the typical terms of one of your deals where you sell your home? Because this is a big part of the business. And I hope folks listening really understand this, is that this is the way you turn your park around a lot of the time. Because other people aren’t gonna come in and say, hey, I just bought a mobile home, and I need a place to put it. That doesn’t happen. They want you as the owner to provide a complete solution, if you will. And what are the terms of those deals? You buy the home—how much does it cost you to buy the home, where do you buy it, and how much do you have people put down, etcetera? DOUG OTTERSBERG: Obviously the answer is, depending on the area of the country, every—you know, pricing is going to be different. So these numbers are just in general. Like, I teach my students in our Secrets of a Mobile Home Millionaire Home Study Course, and at our two-day boot camp, every single market has its numbers. And you know, one of the things that I spent a lot of time teaching folks is, how to determine the numbers for wherever you live. And once you know what those numbers are, then I show you how to work backwards and figure out, mathematically, what you need to be paying, based upon those numbers, and obviously based upon what your profit objectives are. And in my market, we know that our numbers allow us to invest anywhere between $15-20,000. 15 is our average, and we turn around and sell those $25-30,000. So we often have about a $10-15,000 spread on every deal that we do. JASON HARTMAN: Industry wide I would say, those are probably fairly expensive deals. Like, nicer homes, where you’re paying 15 for them—I mean, some of these park owners are paying $5, $7000 for a home. DOUG OTTERSBERG: Exactly. So again, I’m giving them extreme upper end of the market. Again, because that’s where I live. I just want people to understand that yeah, it works in an area that’s expensive as well. I mean, there are homes in California—it’s one of the reasons I left—because the numbers over there, even back in ’94, they were $60, $70,000 for the same thing I’m buying for 15 in New Mexico. And so, that’s one of the reasons I’m here in New Mexico and not in Orange County. Does it work in Orange County? You bet. It depends on who you are and where you’re at and what you want. JASON HARTMAN: Yeah, I’d say it doesn’t work as well, I’d say. But yeah. You buy the house for 15, you sell it for 25 or even 30, right? DOUG OTTERSBERG: Yes, and then we’ll typically look for a person that has—you know, the number 10% is good. DOUG OTTERSBERG: Easy to remember, easy to do the math. JASON HARTMAN: 10% down, or 10% interest? How much down? JASON HARTMAN: So they’ll put $3000 down, for example. DOUG OTTERSBERG: And so our company, then—we just have a standard interest rate, it’s 15%, and based upon the numbers of our area, we know that a monthly payment on the home of about $400 will be comfortable, based upon what people make, and based upon what they have to pay for lot rent for the mobile home space. JASON HARTMAN: And how much are they paying you for lot rent, on average then? DOUG OTTERSBERG: About 400 bucks. $4-500. JASON HARTMAN: So they’ve got a total house for $800 a month. Or $900. DOUG OTTERSBERG: 800 to 1000 bucks a month. JASON HARTMAN: Yeah, okay. Good. In your parks, are they paying their own utilities? JASON HARTMAN: So you sub-meter everything, then? DOUG OTTERSBERG: Yeah, we sub-meter. And we actually look for those kinds of parks to buy. Sub-metering’s nice, and whether they—if they pay directly to the utility provider, that’s awesome, because then we don’t have to deal with it. But when we do, it’s not a big deal. And they typically are able to pay those houses off in 7-10 years. We start out, and one of the secrets of our success would be, we treat people like we want to be treated, and we understand that people will live up to whatever expectations you set for them. So, we have the expectation that when you buy a home from us, you are going to say that home off and build wealth for yourself. And as a real estate investor, we actually use our mobile home deals, Jason—we call them training wheels. We’ll go out and now we buy foreclosed houses as well, and then we would turn around and sell them to people that have already paid off their mobile home. We would take it in on trade, and then turn around and put somebody else and start the whole cycle over with the mobile home. JASON HARTMAN: Let me take a brief pause; we’ll be back in just a minute. ANNOUNCER: Jason provides an extremely unique service. Deal evaluator! Are you interested in a property outside of our network? Need a second opinion? No problem! Let our experts evaluate the deal. Find out more about it at www.jasonhartman.com! The price is only $50. JASON HARTMAN: When you said a moment ago, when I asked you about sub-metering, Doug—when you said that you look for parks like that, I wasn’t clear if you look for parks where there’s an opportunity to sub-meter that’s not currently being done, or if you look for parks that are already sub-metered. Because if they don’t have sub-metering now, that’s an opportunity to increase the value of the park. Which one do you look for? DOUG OTTERSBERG: Either way are good. Just depends on what our—like for example, we closed on a community in December. At this point in our lives right now, we’ve got three kids. I’ve got an 8-year-old, a 13-year-old, and a 14-year-old, and we’re pretty much all about mom and dad taxi service right now. And so, to have these kind of properties, is a blessing. And at this point of our life, the less work that we can do, the happier we are. So for example, even though we have staff, we purchased a community that was already sub-metered, and it was sub-metered directly by the utility. So while there wasn’t any upside in doing it ourselves, for us right now that upside was, there’s nothing for us to do. The utility does it. So, either way, it works. JASON HARTMAN: Right, sure, sure. So, what else can you tell people about mobile home park investing? One of the areas I think we’d really like to hear is, acquiring and finding good deals. Any thoughts on acquisition, and just finding the deal? DOUG OTTERSBERG: First and foremost, what I want people to understand is that the mobile home park is just a vehicle to get to what most of us really want, which is secure, predictable cash flow. Your life completely changes the moment you understand that with 95% certainty, you already know 30-60 days in advance exactly how much you’re gonna be putting into the bank account. Just imagine what that can do for your financial freedom picture. And in looking for those deals, these cash flow generators—I don’t even call them mobile home parks anymore. They’re cash flow creators. They’re cash flow generators. And just like you do right now, when you’re looking and marketing for single family homes, you do the same thing for these communities. And one of the things, just decide, where do you want to work? Where do you want to invest? You can take the scattered approach; go to places like Mobile Home Park Store, LoopNet, and just start looking for deals that are listed. Occasionally you’ll find a good one. Most of the deal that you’re gonna find the super deals, just like with houses, they’re not listed. And just like anything else, you’ve got to start identifying who the players are in the area that you want to be in, and frankly, you need to start chatting them up, networking with them, so that you’ll put yourself in the right place when and if they decide to sell the communities. Because—now, I guess even still, Jason, mobile home parks—there’s a lot of people out there that misunderstand what the business is all about. And so, there are some people—oh, I don’t like that business. Well, that’s not who I am looking to communicate with or connect with. I’m looking for people that realize that hey, money is green, and any kind of asset that can create cash flow, whether times are good, or even more importantly, when times economically aren’t as good. Kind of like what we’re in right now. Wouldn’t it be comforting to know that your residents—as long as they’re willing to work, can work? Most people can find a job right now, I don’t care where you live, even if it’s just flipping burgers or stacking groceries or doing something like that. They’ll be able to afford their space rent and make their home payments. That’s the game right there. JASON HARTMAN: Yeah, you just look for the bottom line of entry-level housing that’s the bare necessity. And some of these parks are actually pretty nice, so it’s not always that way. And there are some advantages to living in them as well, in terms of lower maintenance, less responsibility, and so forth. So, what else would you like people to know about mobile home park investing? DOUG OTTERSBERG: Well, the thing that I would really like people to know, is that right now is an incredible time to get started. I am actively looking myself, because for the last 10, 12 years, there really haven’t been any deals, as far as if you’re a buyer. And the reason for it is the same run up that we saw in the single family home market. Rates of return went down, which caused prices to go up. So there haven’t been a whole lot of deals out there, and for the first time, I’m actually seeing some deals. So, first and foremost, you’re at the right place at the right time right now. There are deals that are going to get done that are going to set people’s families up for generations to come, just like happened in the Depression in the 30s; that’s gonna happen again. It’s happening right now. The other thing I want people to know is that I always look for mentors to help me when I’m getting involved. If this is something that piques your interest, I’d love to be that person for you. And just, if I may take a moment to pass on something that one of my mentors taught me recently when I was sitting down chatting with him; he’s a man named Harry Dent. JASON HARTMAN: Oh, yep, we’ve had Harry on the show! He’s a good guy. DOUG OTTERSBERG: Oh, Harry, then, if you’ve had Harry on the show—he and I were talking. He was like, I like what folks like you are doing, Doug. Because for the next foreseeable future as an investor, the two things that Harry was telling me that we need to be focusing on are cash flow, and entry level. JASON HARTMAN: Yep. I couldn’t agree more. I think that’s very good advice there. DOUG OTTERSBERG: So, this is perfectly positioned, to take advantage of this natural cycle that we’re in the midst of, that we’ll never see, and certainly our children will never ever see another cycle like this ever again in our lifetimes. JASON HARTMAN: For all of Doug’s products, by the way, you can go to www.jasonhartman.com/offers. Doug, you do a lot of other stuff with sort of mindset, and psychology, and attitude and so forth. And you covered the mobile home park thing, and I agree with you on what Harry Dent said—that’s good advice, and I like Harry’s work. What else would you like, more broadly, should people know about mindset, and just having the right approach to things? DOUG OTTERSBERG: I’d be happy to share with that. What I found was, about seven years ago, Jason, we were doing okay at owning our mobile home parks and our business. And it really wasn’t till I got through some limitations that existed purely within me, that things really started taking off for us. And it was shortly thereafter that I found that I had a new calling in life, literally. And so now, the mobile home parks is what provides us with the opportunity now to go on to what I believe I was put on the planet to do. So, one of the things I want people to understand is, if they critically take a look at any area of their life, and will see where they’re not experiencing the success that they would like to. Because would you agree, Jason, that most of us, when things are going well, we don’t even notice it. We don’t stop and think, hey, everything’s going swell! Good for me! It’s typically when things aren’t going well that we start to notice, when it’s not going right. So, rather than getting upset, it’s like okay, this is the area that’s not going right. Let me use that as feedback. And so, when I discovered this, it really took my investing career to a completely different level. I would look at what wasn’t working. And then what I found out is, the root of what causes us to get a result that we either want or don’t want, lies in your subconscious mind, and it’s a thought, belief, or memory. And that’s one of the things that I take my students through, and I show them, step by step, exactly how you get a result in life. And we start by looking at—because it’s easiest for most people—what are the results right now that you’re getting or not getting? And once we identify what it is that you want, and identify what’s not working, then I show people how to modify those things that aren’t working, so that you can literally remove those obstacles and/or the self-sabotaging behaviors that, frankly, Jason, most people aren’t even aware that they’re doing. You can just remember it this way. Identify what you want, and what’s not working, modify what’s not working, and then we use the same techniques and strategies and tools, to then amplify the things that we do good, which then allow us to satisfy what we want. DOUG OTTERSBERG: These wants and desires. JASON HARTMAN: And you think a lot of this comes from a memory? It’s generated out of a memory that people have, that they don’t even realize is causing a behavior today, maybe a memory from years ago? Tell us about that. DOUG OTTERSBERG: Yeah. I pretty much lumped them all into one group. You know, thoughts, ideas, memories—it’s literally the raw material, the programming, if you will—the software that’s on the hard drive of your computer. And it’s the way that we’re wired, it’s the way that we work. We learn by association. Remember the young child in the kitchen sees this handle sticking out above; he doesn’t know, she doesn’t know it’s a stove. She just sees this object, and they reach up to grab it, mom or dad sees them, and realizes, that’s a pot of boiling water. And they slap the kid’s hand, and the kid learns that ooh, that thing equals pain. Better not do that. And so now they have an instruction, a program, in their memory, that runs. And pretty soon they forget about it, that it’s even there. And they just—it just automatically happens. Well, think about all the things you do on a day-to-day basis that you don’t even think about anymore. At one time you had to learn how to do those. Or somebody told you what to believe, or what to think about that. And now it’s just an automatic reflex on your part, and for the most part, you don’t even realize that it’s happening. JASON HARTMAN: Right, it’s just this programming. Yeah, that’s a good way to look at it. Well hey, Doug, we’re running out of time. What would you like to say in closing? And again, all of the products—if you want to talk about any, like the boot camp product in a box, or anything like that, www.jasonhartman.com/offers, and some special offers from Doug for our listeners there as well. DOUG OTTERSBERG: Yeah, head over there, and yeah. For those of you that are interested in safe, secure, predictable income, if that would make a difference in your life, when you go over there to that page, you can get some free gifts that we give out, that—actually some trainings that my wife Ana and I did. And this is a business that is ideal for families to work together, couples that would like to work together, or obviously you can work it on your own. But we’ve got some free gifts there that will explain a little bit more about what we do. And as Jason said, we do offer a boot camp in a box. It’s the home study version. And we also do several times a year a live training. That’s where you get maximum impact, maximum hands on training where you can assimilate it in a completely different way, where we take people by the hand, actually walk them through a factory where they can see how the homes are made, take them out on site, take them to one of our communities, we’ll show you exactly what to look for, what to stay away from, and give you the benefit of over 16 years of in the trenches experience. JASON HARTMAN: Good stuff. And how much is that product, Doug? DOUG OTTERSBERG: It’s 997. And the boot camp’s 1997. JASON HARTMAN: And you know what’s amazing? Like—for less than a thousand dollars, people can get the education that really is the education that matters in the world. The actionable knowledge. And, you know what I always say to people when they’re thinking of education? Because I have—ever since I was 17 years old, Doug, I have spent a fortune on education. Self education like this. And I remember hearing a speaker say, if you think my seminar is expensive, just try the real world seminar. And what that means is making all the mistakes in life yourself. It’s a very good value to say the least. DOUG OTTERSBERG: Well, think about it. What does it cost today for your average four year college? DOUG OTTERSBERG: You invest $25-100,000. What kind of a return on investment do they guarantee you? Nada, zip, zero, zilch. And that’s the great thing about this specialized kind of education. Is we offer a minimum three time—we offer a guarantee. You ought to be making at least x amount, and if you don’t, well, then we gotta work with you, so. JASON HARTMAN: Sure. Well, good stuff! Well, thank you, Doug, for joining us. Appreciate the insights into mobile home park investing specifically, and then mindset on a broader level. Good having you on the call today. DOUG OTTERSBERG: Thank you. Take care, everybody. ANNOUNCER: Are you ready to begin making huge profits in mobile homes and mobile home parks? If so, check out Mobile Home University’s boot camp in a box. 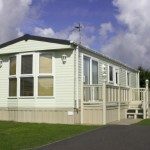 You’ll learn how to find and evaluate mobile homes and mobile home parks, how to drastically reduce park expenses, how to develop an effective management team, how to market and advertise to fill up your park, and much more! The Mobile Home University boot camp in a box is available at special savings at www.jasonhartman.com.